We always regard children as special patients and do everything to make their visits as pleasant as possible. 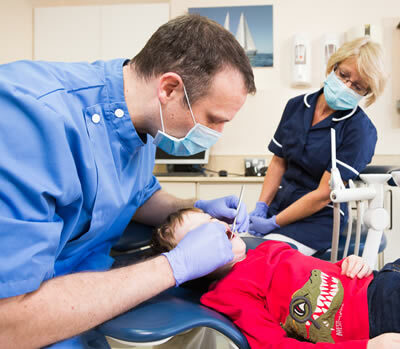 Our main aim is to help them form good dental care habits which will prevent problems with their teeth later in life. A good age to begin attending is between 2 and 3 years old. We always take care during the first appointments to take things gently. It is largely about getting children used to coming even if cooperation is not good enough for a proper check up initially. If they leave with a positive impression our ability to check their teeth improves with each visit. It is particularly important to diagnose tooth decay early in this age group as this makes treatment much easier.